Manila, it can be reached by an hour and fifteen minutes plane ride via Cagayan de Oro airport and is thirty six hours by boat. Transport is available daily all year round. Iligan Medical Center College firmly believes in quality education that empowers graduates to become holistic and productive citizens of the country through intensive instruction, research, and community extension programs. A leading private non-sectarian professional institution producing holistic, productive and globally competent graduates in various medical-related fields and other disciplines. 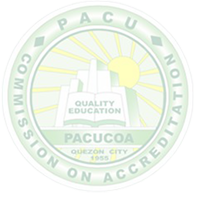 To provide high quality education to all students through the utilization of advanced technology for intensive instruction, research and extension. To deliver relevant quality education through intensive instruction. To produce quality researches among members of the academe. To conduct relevant & collaborative community extension program. Production of intensive instruction facilitated by highly qualified faculty implementing a well-crafted curriculum. Production of quality researches among faculty, staff, and students to generate knowledge and technology applicable to societal needs. Implementation of relevant and collaborative social orientation and community extension program for knowledge and technology transfer.